Who are potential candidates to replace John Farrell? Alex Cora is one of the hottest managerial prospects and is a potential candidate to take over the 2018 Red Sox. The Red Sox officially announced that the club has split ways with manager John Farrell early Wednesday morning. Farrell was fired after winning three division titles, including the teams first ever back-to-back titles in team history. His five year tenure also included a World Series championship in 2013. President of Baseball Operations, Dave Dombrowski, did not disclose any reasons why Farrell was fired and mentioned that no level of team success would've prevented it. Dombrowski went on to add they will start the new managerial search immediately, which brings thoughts of who could become the new Red Sox manager. “John didn’t do anything wrong … but change is part of baseball,’’ Red Sox chairman Tom Werner said. To start, rumors of former catcher and captain Jason Varitek taking over for Farrell are heating up. Varitek has spent the last several seasons as an advisor with the team. Dombrowski mentioned in his press conference Wednesday that the new manager will "most likely not" come from someone on the current staff. If Dombrowski stays true to his word, it appears this is not the year Varitek takes over as the Red Sox manager. It also would hinder current bench coach Gary DiSarcina's chances of managing. DiSarcina has seen a majority of roles in his time in Boston and with the Angels and has even interviewed for manager positions in the past. If no other option outside of the organization is a good fit, perhaps the Sox would be forced to promote DiSarcina or Varitek. 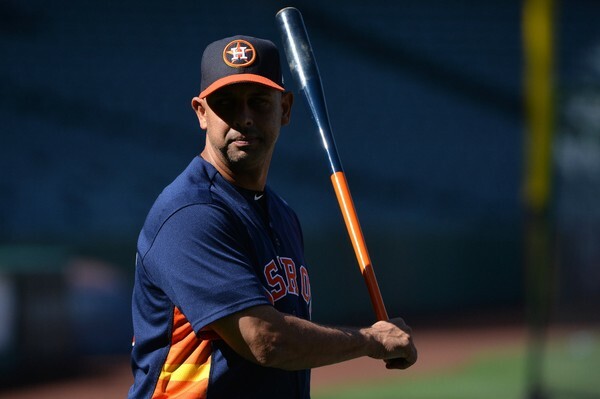 One of the hottest names in the managerial search across the MLB is Astros bench coach Alex Cora. Cora was a member of the Red Sox from 2005 to 2008, and was a part of the 2007 World Series team. Houston manager A.J. Hinch spoke quite highly of Cora last week and sounds like he'd expect Cora to succeed as a manager. Cora is the kind of guy who could become a leader in this clubhouse and right the ship. The fact that he has played in Boston is an advantage, as he is aware of the market and media. ESPN's Buster Olney has also already mentioned that Cora could emerge as Boston's next skipper. If the Red Sox could not strike a deal to land Cora, Brad Ausmus could be seeded out. Back in 2013, Dombrowski was the man who hired Ausmus in Detroit, providing an instant connection to the current vacancy open in Boston. Ausmus was fired after four seasons in Detroit after failing to record even one playoff victory. Besides being let go, Ausmus is still highly regarded around the league and could rebound in his second managerial stint. Rob Gardenhire is another name to watch. Gardenhire is currently the Arizona Diamondbacks bench coach, assisting former Red Sox bench coach and now manager Torey Lovullo. Dombrowski saw Gardenhire's work when he managed the Minnesota Twins. He lead the Twins to six division titles and five seasons of 90 or more wins. He is well respected by players and his peers and is willing to get back into managing. Current Yankee skipper Joe Giradi is also an interesting name to keep an eye on if released from the Yankees. No matter who becomes the next Red Sox manager, the team needs to find a power bat and a player who is willing to lead inside the clubhouse.